Players level 76 or higher after third class transfer belonging to a clan level 3 or higher can take part in a competition Ceremony of Chaos. ✗ Talk with NPC Mysterious Butler. ✗ Buy Twilight Belt (Mysterious Mark -24. 1,917,000 adena). 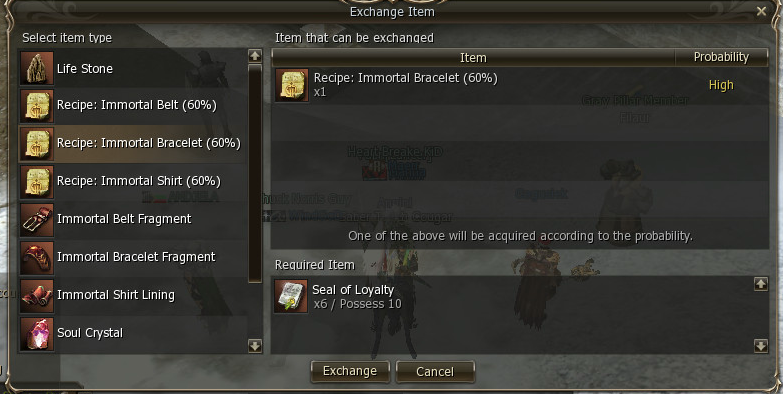 ✗ Buy Magic Ornament (R-grade) or Magic Rune Clip (R-grade) (Mid grade Ornament or Rune Clip cost - 24 Mysterious Marks). ✗ Make belt with PvP ability. 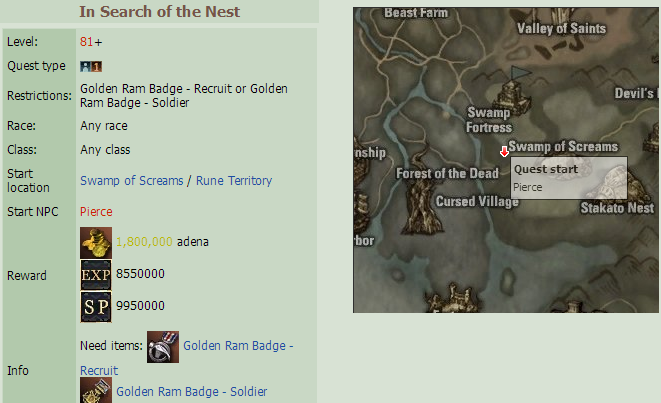 (You can do it at Aden or Rune). ✗ Sell it in AH. Terms of enrolment for Grand Olympiad. Only players in their main class can enroll on Grand Olympiad, they should also have level 85+, complete their fourth class transfer (Awakening) and belong to Noblesse. To get a reward, your character need to participate in at least 15 battles during the cycle. (Reward is 30k olympiad tokens). Remember take Oly daily quests. "Olympiad Starter" - Take part in 10 Olympiads. The overcome of battles doesn't matter. If you take part in less than 10 Olympiads, you'll get a lesser reward. "Olympiad Undefeated" - Win 10 Olympiads in a row. If you die or lose, the counter will reset. If you win in less than 10 Olympiads, you'll get a lesser reward. Tip: If you will win two fights in a row bring back quest. Rewards: Giant Energy - 6kk adena or more. Farm boxes at Four Sepulchers. 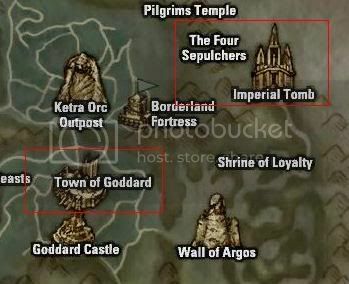 What you need to enter Four Sepulchers? ✗ All party members must have Four Goblets. ✗ Passes for four sepulchers. You can get it from Tomb Raiders. 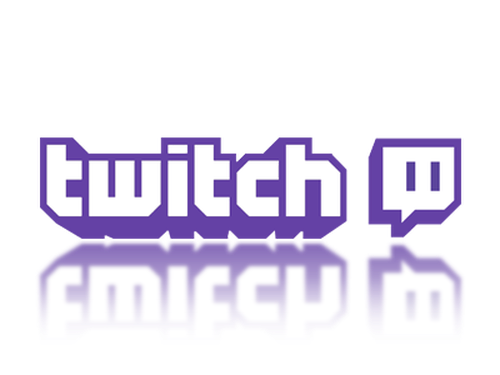 ✗ Minimum four party members 74lvl +. 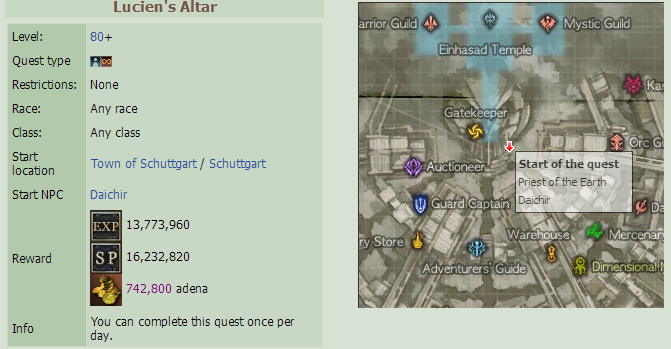 Rewards: Atribute stone fragments, S gr weapon/armor parts, B/S gr enchants. 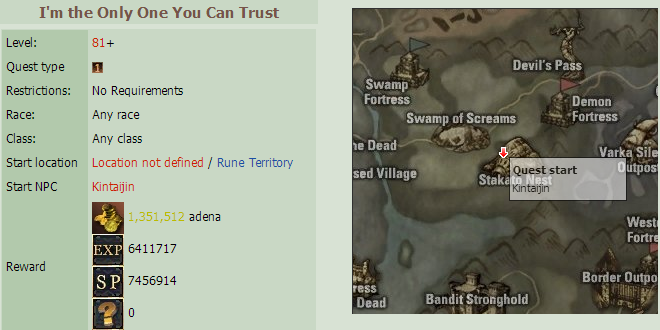 While you are killing mobs at SOA or Harnaks you will get Mark Loyalty. Exchange it in Teredor instance. NPC will spawn after Raid Boss death. Name of NPC is "Adventurers Guild Member". NPC will give you EXP and Seal of Loyalty. Now you can buy recipes and fragments. Remember craft is with 60% luck. 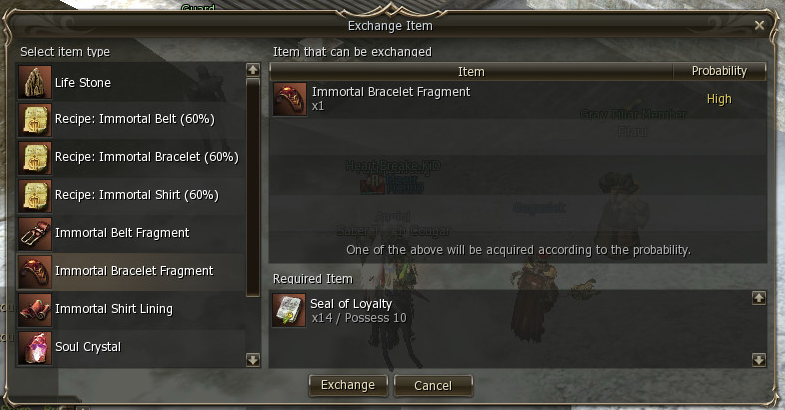 Bracelet price at light towns is 5kk adena. Materials are required for craft like Ertel and Dark Ion. Dark Ion and Ertel are possible to obtain for free from Special Product Broker Kirklan at Keucereus Alliance Base. But first need to get Tissue Energy Crystals in Seed of Annihilation - Nursery.